Fessenden to receive the Winter Film Awards “Patron of the Cinema” Award! As part of the 2014 Winter Film Awards Independent Film Festival awards presentation Ceremony taking place March 1st 2014 at The EMPIRE ROOM @230 FIFTH, the Winter Film Awards Board of Directors is pleased to honor New York cinema icon Larry Fessenden with the first annual PATRON OF THE CINEMA Award. The award is presented to an individual whose career transcends their work in the cinema by branching out into other artistic mediums, and who shares a passion for the cinema by mentoring up-and-coming filmmakers. Native New Yorker Larry Fessenden is an actor, screenwriter, director and film editor. He is an artist driven by his passion to excel beyond the cinema as he ventures out into the world of comics, radio dramas (Tales From Beyond the Pale) and music, while still finding time to mentor young talented artists. In 1985, he founded Glass Eye Pix, an independent film studio based in New York City, with the goal to produce films in and out of the horror genre. In 2010, Fessenden was nominated for the Piaget Spirit Award for producing. He also won the 1997 “Someone to Watch” Spirit Award. He wrote, directed and edited the award-winning art-horror trilogy of films No Telling, Wendigo and Habit, which was nominated for two Spirit Awards. His 2006 film The Last Winter was nominated for a 2007 Gotham Award for Best Ensemble Cast. 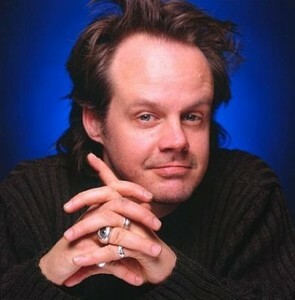 As a character actor, Fessenden has appeared in such films as I Sell The Dead, Neil Jordan’s The Brave One, Joe Swanberg’s All the Light in the Sky, Jim Jarmusch’sBroken Flowers, Kelly Reichardt’s Wendy And Lucy, Martin Scorsese’s Bringing Out The Dead, Steve Buscemi’s Animal Factory, Jim Mickle’s Stake Land and Mulberry Street, and Brad Anderson’sVanishing On 7th Street and Session 9. Fessenden has mentored numerous young directors, including Jim Mickle, Kelly Reichardt and Ti West. He has produced several projects including Rob Kuhns Birth Of The Living Dead, Rick Alverson’s The Comedy, Kelly Reichardt’s Wendy And Lucy, Ti West’s The House Of The Devil and The Innkeepers, Joe Maggio’s The Last Rites Of Joe May, James McKenney’s Satan Hates You, and Ilya Chaiken’sLiberty Kid. Under his low-budget horror banner ScareFlix, Fessenden has produced Jim Mickle’s Stake Land, Maggio’s Bitter Feast, West’s The Roost and Trigger Man, and Glenn McQuaid’s I Sell The Dead. In 2011, he released his third rock album with the band Just Desserts. See the full article at PRLog. Get all the details on the 2014 Winter Film Awards Independent Film Festival. See their website here.